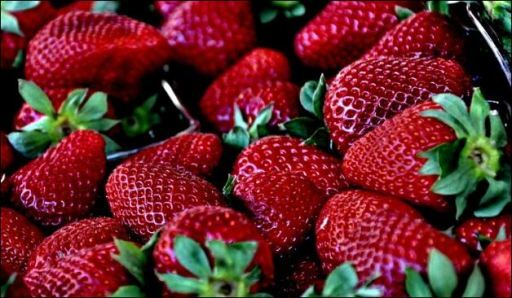 SAN FRANCISCO (CN) — The University of California and a private strawberry breeding startup have settled a bitter dispute over UC Davis’ multimillion-dollar strawberry plants, after a jury found that the startup’s founders stole the plants to get an edge in the state’s mammoth strawberry market. California Berry Cultivars (CBC) agreed to give UC Davis the strawberry plants it bred from the school’s unpatented varieties, and agreed that the school owns them, according to the settlement reached Friday. CBC also agreed that the university owns the unpatented strawberry varieties developed in UC Davis’ strawberry breeding program, where CBC founder and defendant Doug Shaw invented more than a dozen popular strains before retiring in 2013 to start CBC. The defendants also agreed to assign their rights in the plants to the school. UC Davis declined to comment on the settlement. Most California strawberries — the state’s fifth most valuable crop — come from strains Shaw and his research partner Kirk Larson developed at UC Davis. The case, initiated in 2016, pitted the two researchers against the school, after Shaw told administrators he wanted to start a private breeding company to license the strawberries he and Larson had invented, develop new varieties from them, and pay the school royalties. UC Davis rejected Shaw’s proposal after initially expressing interest, and sued him, Larson and CBC for conversion and patent infringement, claiming the men took its strawberry varieties after the school refused to license them and used them to breed new ones for CBC. Shaw and Larson counterclaimed that the university acted in bad faith by trying to patent 168 varieties of strawberries in a single patent, to freeze CBC’s ability to work with the plants. Despite Shaw’s explanation, a federal jury found in May that he and the other defendants willfully infringed on nine of UC Davis’ strawberry patents and used its unpatented plants without permission to breed strawberries for CBC. Although the defendants have agreed to give up their rights to the university’s unpatented plants, Shaw and Larson will still receive royalties under their patents for the plants they invented at UC Davis, minus $2.5 million as payment for their violations, according to the settlement. Importantly, they must give UC Davis all the plants they bred in 2014 and all the seeds they bred in 2017, which were developed from the 2014 material. They also must give the school a small subset of plants bred in 2015, but they can keep anything bred that year from the school’s patented varieties. The parties agreed to test plants CBC bred in 2016 to determine whether unpatented university varieties were used. Any varieties determined to contain the material will be deemed UC Davis’s and handed over. Additionally, UC Davis will get to test CBC’s proposed varieties for university-owned DNA before release. UC Davis’s agriculture school has developed 56 varieties of strawberries since 1945, creating sought-after strains that have outperformed the market for two decades. No other breeder has access to the school’s varieties, and turning over the coveted progeny could put CBC at a competitive disadvantage in California’s $2.5 billion annual strawberry market. The university estimated that competition from CBC, whose member-farmers account for 75 percent of its strawberry revenue, would have slashed the school’s revenue by three-quarters. The university was represented by Matthew Chivvis and Rachel Krevans with Morrison & Foerster in San Francisco. The defendants were represented by Greg Lanier with Jones Day, also in San Francisco. He did not return a request for comment.